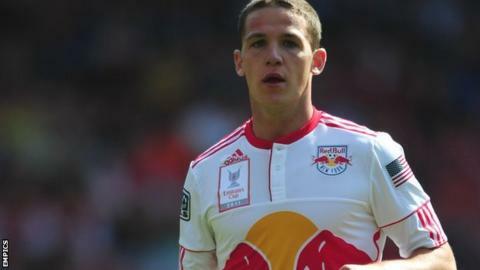 Barnsley have completed the signing of forward John Rooney, subject to approval by the Football League. The club have received international clearance to sign the 21-year-old younger brother of England striker Wayne until the end of the season. The deal had been held up by concerns that his contract with US side Orlando City was still valid after 31 August. In those circumstances, he would not have been able to sign until the transfer window reopened in January. Having started his career with Macclesfield, Rooney moved to Major League Soccer side New York Red Bulls in January 2011. However, he struggled in New York and moved to third-tier Orlando after one season. Barnsley manager Keith Hill told the club website Rooney would not be expected to go straight into his first team squad. "He's got to be given time," Hill said. "There was no thought to get him included in first-team procedures so early. He's very much a development player and we're going to play him in development games and give him an opportunity to progress."